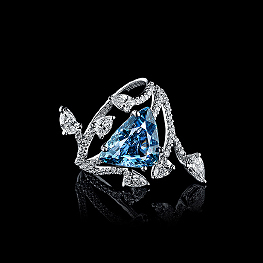 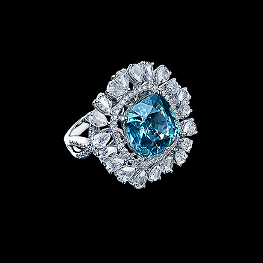 Double ring with a gentle sky blue sapphire with a common weight 4,1 carats is encircled with 47 diamonds. 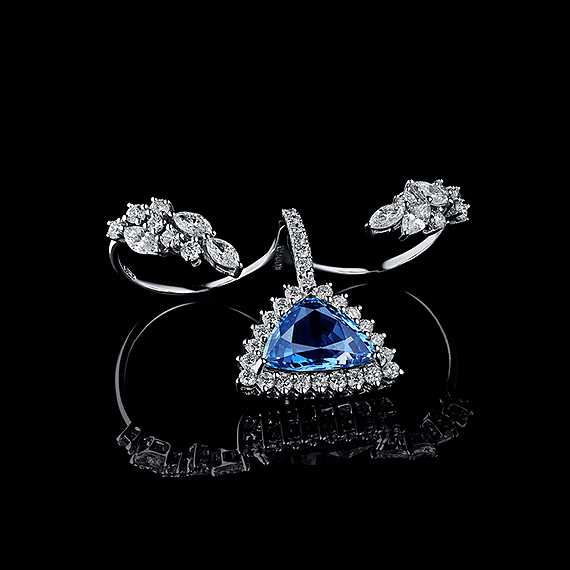 An extraordinary and contemporary jewelry piece, that is able to decorate any cocktail outfit will attract sights. 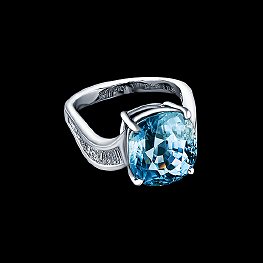 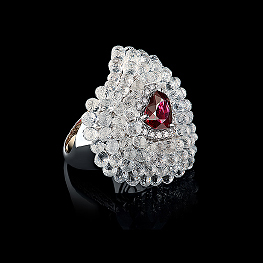 This gemstone is a genuine master that embodies love, courage and belief.